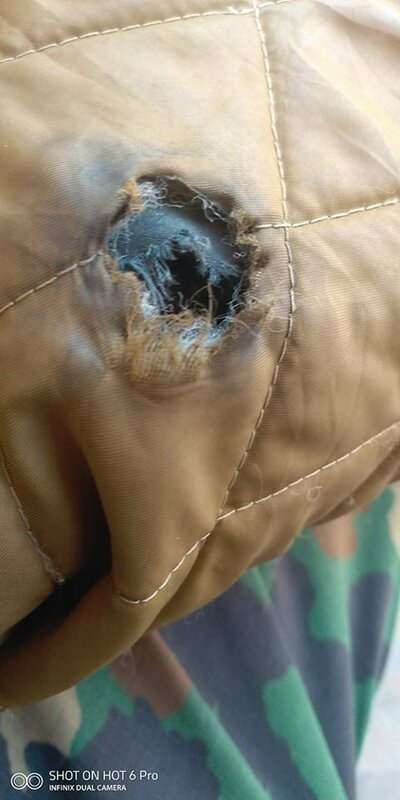 Home » » NIGERIAN SOLDIER MIRACULOUSLY SURVIVES AFTER BULLET PENETRATED HIS SWEATER IN YOBE STATE. 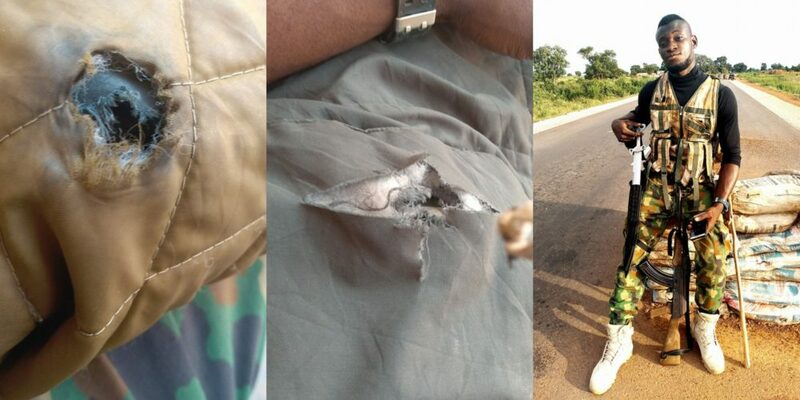 NIGERIAN SOLDIER MIRACULOUSLY SURVIVES AFTER BULLET PENETRATED HIS SWEATER IN YOBE STATE. A soldier serving in Azare, Yobe state has survived an attack from insurgents in Yobe state. 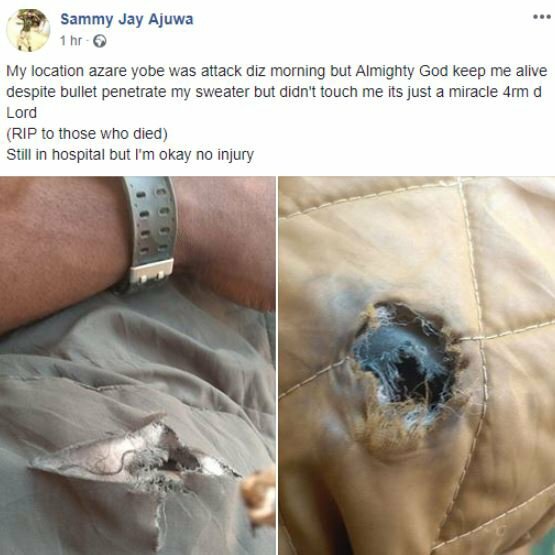 The soldier identified as Sammy Jay Ajuwa, took to his Facebook page this morning to share the good news. According to Sammy Jay Ajuwa, he and other soldiers were being attacked by Boko Haram insurgents when he was shot at. 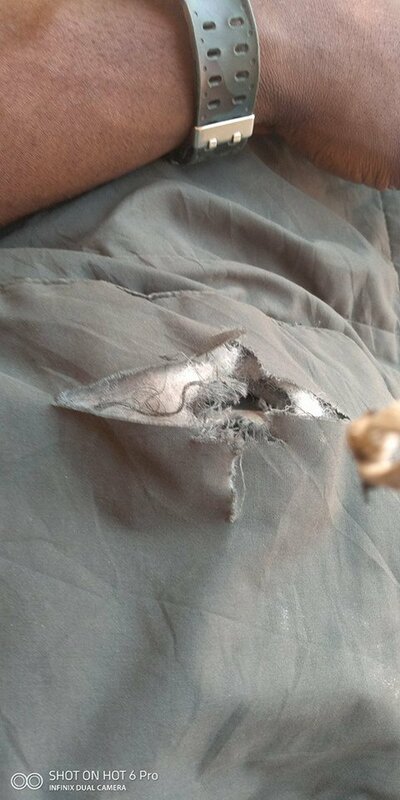 He was struck by a bullet which luckily made a hole in his sweater and got lodged there but didn’t enter his body. Sadly, some soldiers weren’t as lucky.